Rajinikanth fans win the debate as their favorite actor Rajinikanth has come out clean. The makers of Kabali and loyal fans of Rajinikanth have clarified on a website that the Kabali poster that has caught everyone’s attention is a fan-made one and not the official poster of Kabali. 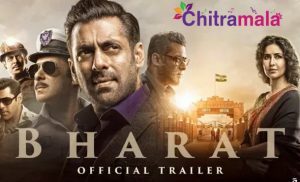 Irrfan Khan, who is currently promoting his upcoming film Madaari, said that the similarity between the films’ posters,“Even I didn’t know that. We are small filmmakers, and I saw that Rajinikanthji’s film stole the poster of our film. You see his film’s poster and see our film’s poster. No big deal about it. Watch his film and watch our film, too.” This quote made many believe that the poster has actually been stolen considering the glaring similarity between the two. But it seems it was just a fragment of a fan’s imagination. 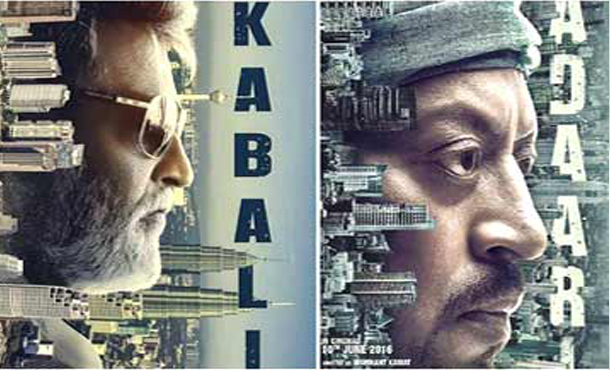 Both the posters had the faces of the lead actors, Irrfan Khan and Rajinikanth, with numerous buildings standing horizontally on their faces. Ever since Rajinikanth’s Kabali was announced various posters of the film have been doing the rounds. Rajinikanth had shared two posters on his Twitter account in September last year when the shooting had begun. Many official posters of the film have come out after that -the one with Rajinikanth, Radhika Apte and China actor Wilson Choa, one in which he is staring at a gun in his hand, one where he is sitting on a sofa and one showing him with sunglasses inside the profile.